Update: We got a lot of great entries in the X-ACTO Electric Pencil Sharpener Giveaway, and now we have our winner! Congratulations to Holly! I should win this pencil sharpener because I am in a newly created classroom that does not have a pencil sharpener. At this point I will have to either have to win this contest, find the nearest classroom that has one, or buy one myself. I have been trying all summer to win a pencil sharpener and have come up empty handed in that department each time so hopeful this time it will be different…Come to think of it, I do have a clock either. Oh well, I wonder what other things that I have forgot. We will soon see with school starting in just over a week. Enjoy your new pencil sharpener, Holly! Everyone else, head on over to our new Avery HI-LITER Giveaway! Don’t miss your chance to win three dozen pink, green and yellow highlighters! This week, we’re giving away a X-ACTO Electric Pencil Sharpener to one lucky winner! X-ACTO Electric Pencil Sharpeners are perfect for classrooms and offices! 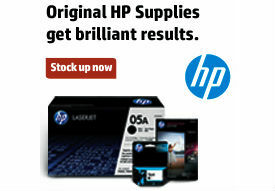 No more sharpening your pencils down to a nub! Cutting blades automatically retract when pencil is sharpened. Multiple hole selector sharpens a variety of pencil sizes. Pencil shaving receptacle eliminates messes! 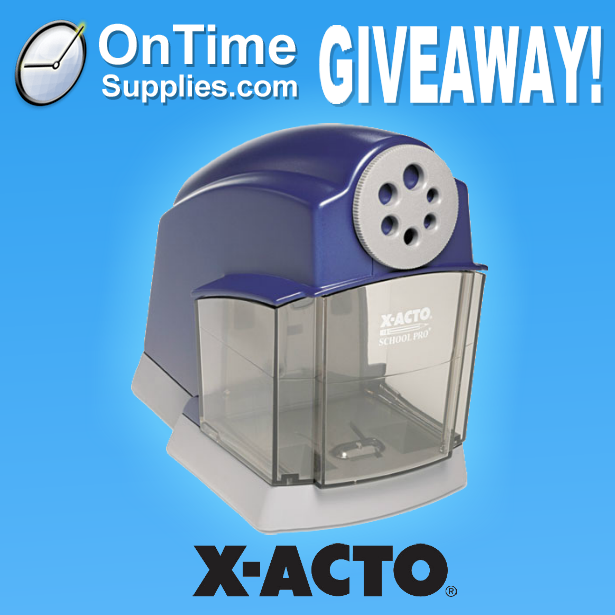 Enter now for your chance to win a free X-ACTO Electric Pencil Sharpener! You get three entries and three chances to win if you enter on Facebook, Twitter AND the blog. The X-ACTO Giveaway ends next Monday, August 12. We’ll announce the winner here at Office Ink Wednesday, August 14. Good luck! I will have my own classroom for the first time and the only pencil sharpener in the room is very unsafely screwed into the windowsill and only manages to hack up the pencils, but leaves no point. It will have to be removed for both those reasons, so this would be awesome to win. This would be fabulous to win! This would be fabulous to win! Thank you for having such a great giveaway! If I won this awesome sharpener I’d give it to either our 1st or second grade teachers. Kids that age sharpen their pencils a lot and often the sharpener doesn’t make it to the end of the year. I follow on twitter at misaacmom and retweeted. I would really like to win because this would make my job so much easier. I want to win this for my special education classroom! I make my students do SO MUCH WRITING! We need to keep those pencils sharp and ready to write brilliant words. If I won the sharpener this would be a wonderful, well used addition in my elementary art classroom. As a Title 1 school our budget is tight and this needed tool would be essential to great art projects the students will ultimately create. I buy a new one each year. I don’t know how my kids destroy them each year, but they do.